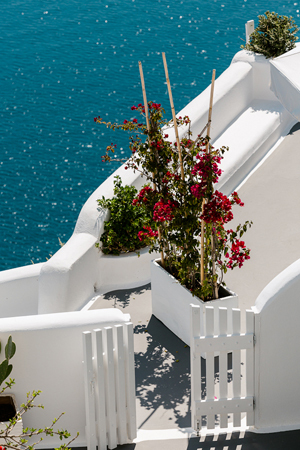 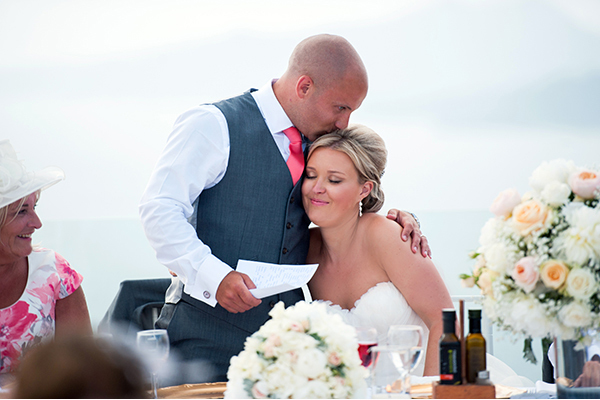 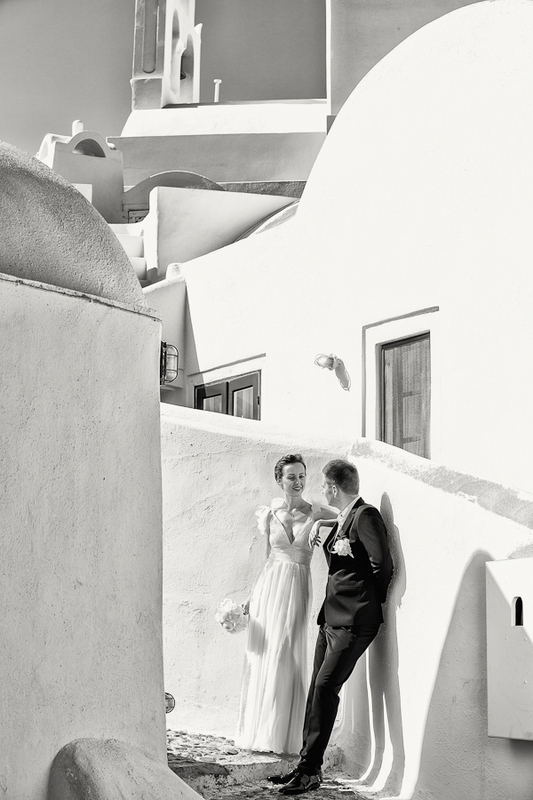 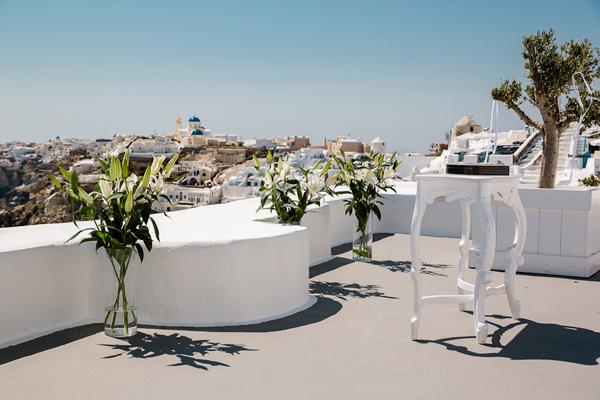 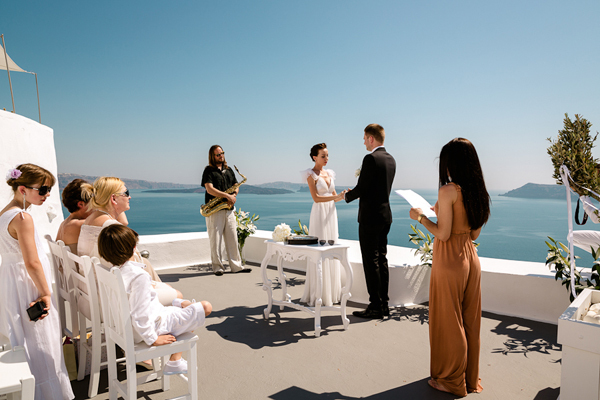 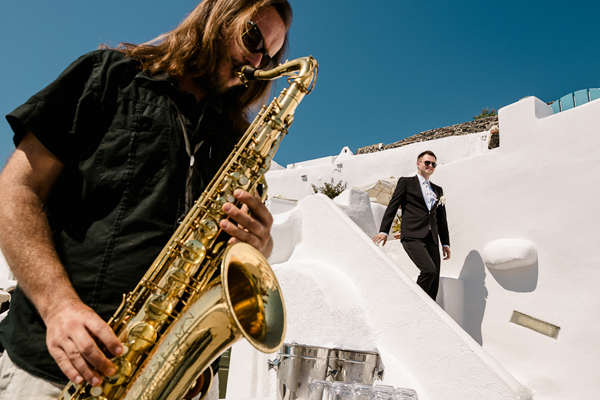 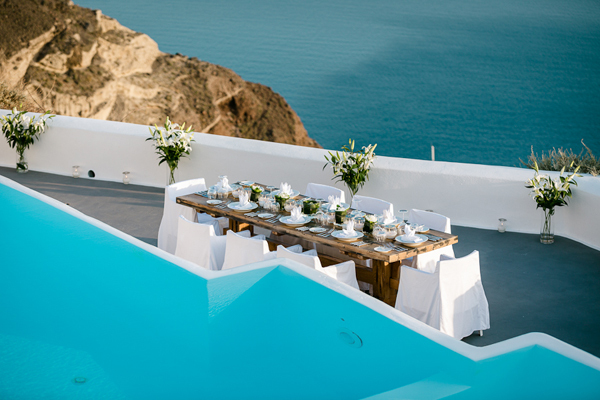 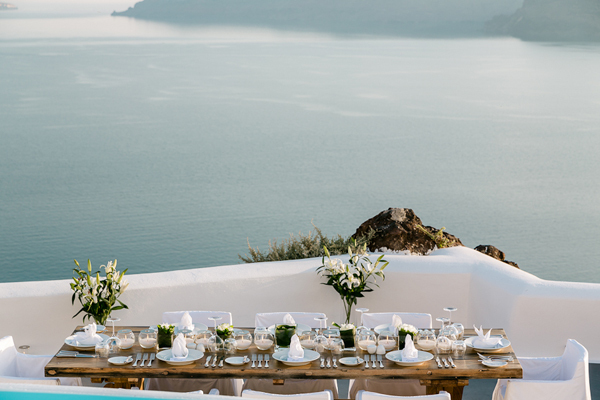 Every single detail of this jaw dropping gorgeous wedding in Santorini makes me weak in the knees. 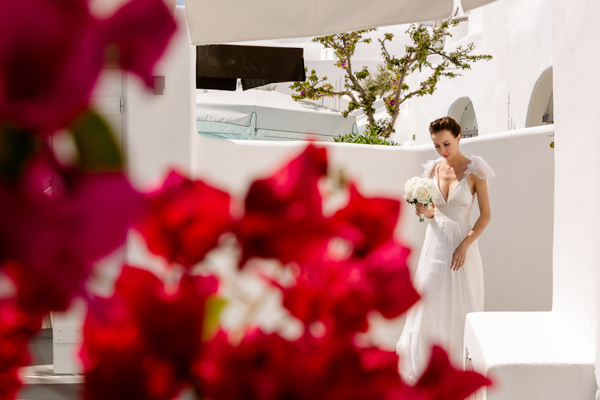 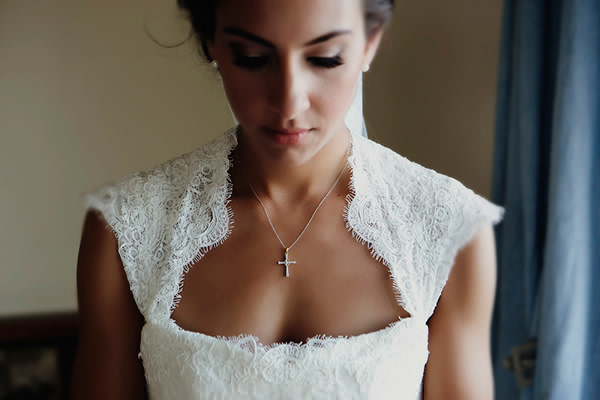 Breathtaking incomparable scenery, a stunning bride and a seriously beautiful event planned by Stella & Moscha, this wedding will knock your socks off! 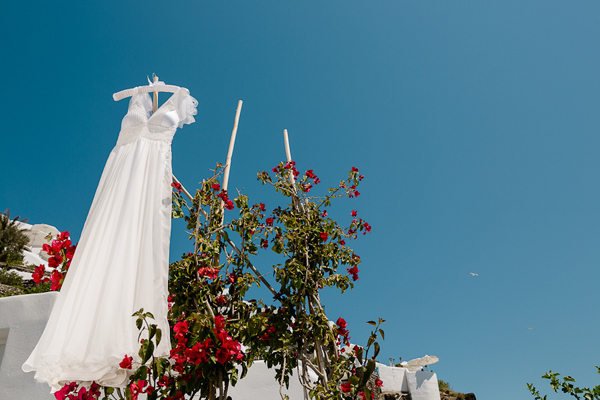 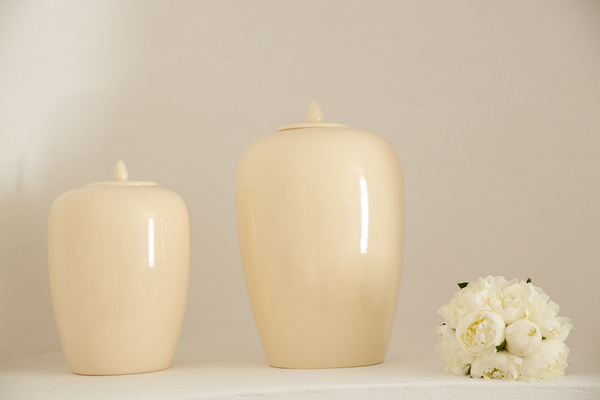 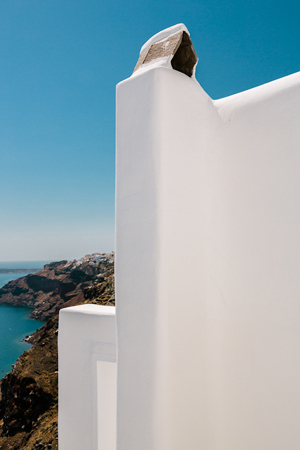 And… with Vangelis Photography behind the lens you know you are in for a lovely journey!